Do not play with your food! That’s what parents always told us at the table, but if you look, you’ll find there are many places in the world where playing with food is not only welcome but also real fun. 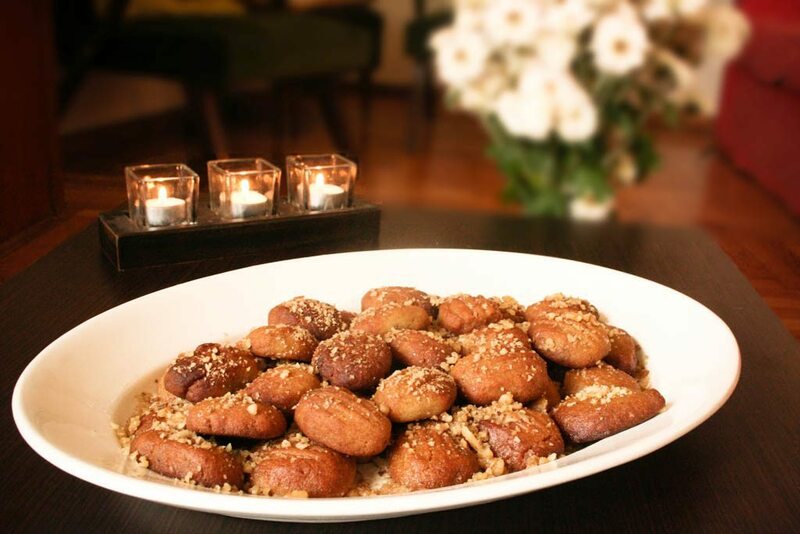 There are many food festivals around the world where you can go and taste the local delicacies. However, i found it more interesting when you can go and enjoy it in such a way like in a food fight. Spain for some reason might have lions share on those festivals but all over the world you can find interesting customs you go and visit. Each year on the last Wednesday of August, in a city west of Valencia in Spain, one of the most famous food festivals of the world takes place. 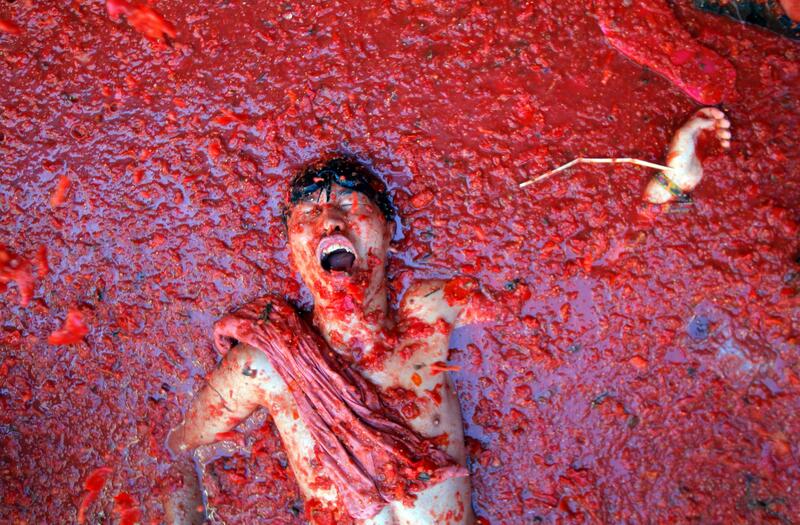 The famous La Tomatina festival comes to the Spanish town of Buñol. It is a huge food war, with a history that goes back over 70 years and brings together thousands of people who literally throw tomatoes to each other in the central square of the city. During the festival, the population of the city, which is normally 10,000 inhabitants, is quadrupled by tourists. The celebration lasts for a week and includs performances, music, dance and fireworks. If you do not like tomatoes then maybe you should try the “battle of oranges” in the northern Italian city of Ivrea. There the story of a local rebellion against the Raineri di Biandrate tyranny revives every year, with oranges replacing the weapons. This baron was expelled to the Middle Ages during a public revolt as the city was starving under his tyrannic ruling. The revolt is reproduced and takes place during the city’s carnival in February. Two parties take part in this epic three-day struggle with food. 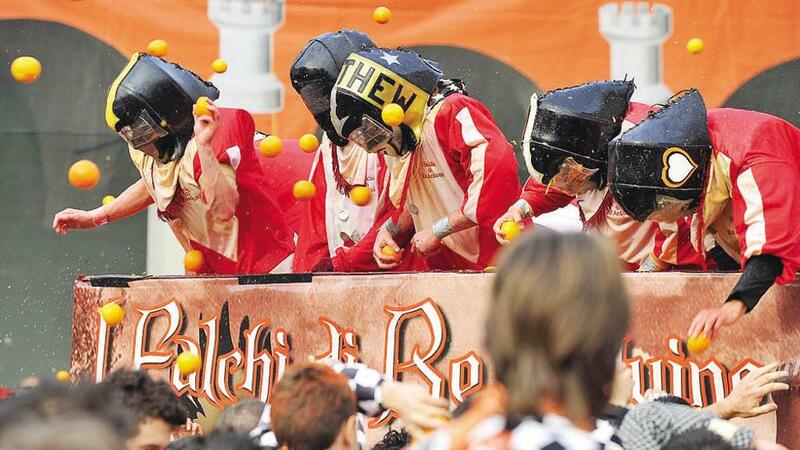 Participants throw over 250 kilograms of oranges to each other during the battle, and vehicles and snow removal equipment are usually recruited to clear the road after the festival. Every spectator is encouraged to purchase and wear, at all times, the Berretto Frigio/Phrygian Cap/red hat for “protection.” Wearing the hat signifies that you are part of the revolutionaries and will protect you from getting oranges directly thrown at you. Moving on to our third city. 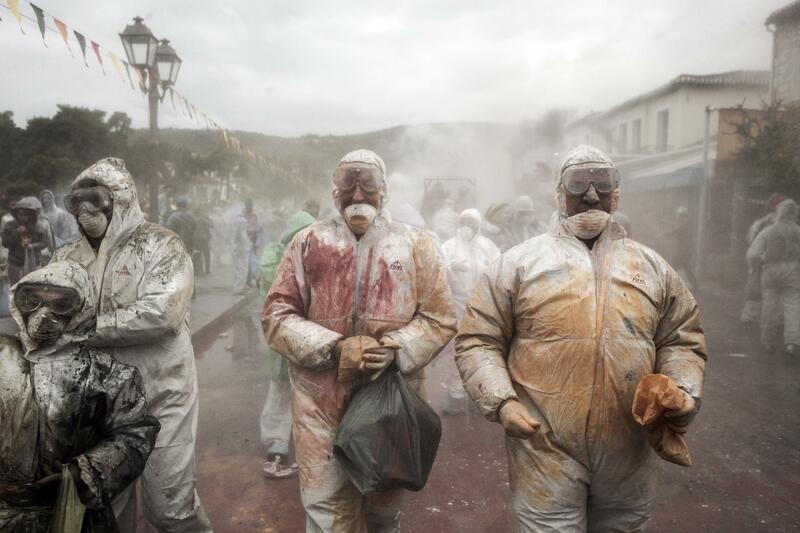 Each year, on December 28th, Ibi town in Alicante, Spain hosts the famous fight known as Els Enfarinats, meaning “those covered with flour”. The festival is always on that dato coincide with the Day of the Innocents, the equivalent of April Fools’ Day. Your weapons: eggs, flour and fireworks. 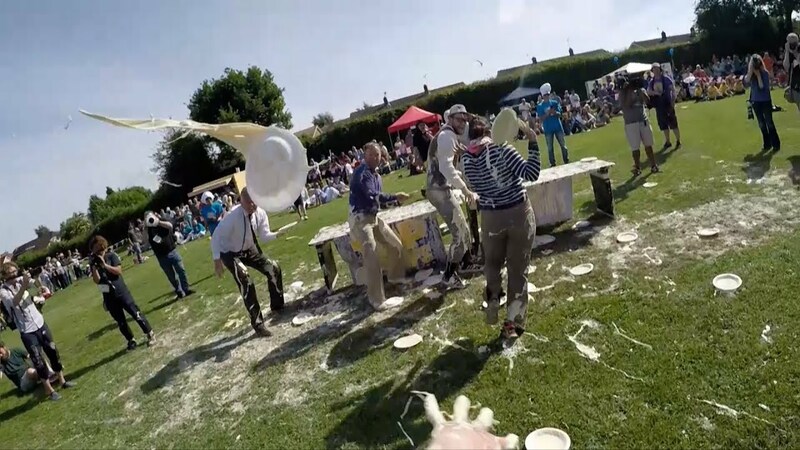 This famous food fight has a history of 200 years and takes place between two groups. The Els Enfarinats are a group of married men who have the sole duty to enact ridiculous laws for one day and the other group, La Oposicio, have a duty to restore order. 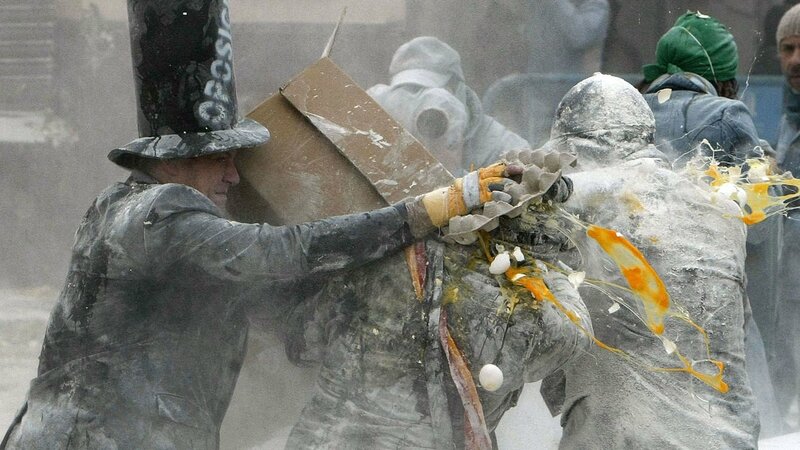 The two opponents are fighting outside the City Hall to prove their strength, through a dirty but entertaining clash with eggs and flour “bombs”. England is not famous for there cuisine. However, they are famous for there pie’s and the world custard pie championship that takes place in Kent every June. This festival, which began as a way to raise money for the town hall of the city 49 years ago, evolved and attracted many visitors. Participants are divided into groups of 4 people and each player must cast the pie with his left hand, to his opponent. one point for any other part of the body. Again in Spain, as it seems to have the lion’s share in the Fighting Festivals. 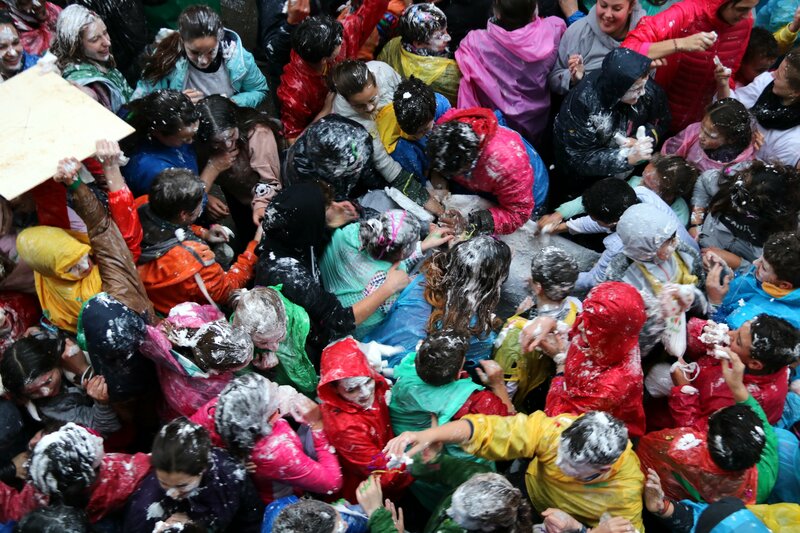 At this delicious party on the streets of Vilanova i la Geltrú in Barcelona you will see people throwing about 90,000 pounds of sweets and meringues. It dates from the 1940s when Franco banned carnival events. In retaliation, the locals protested on Thursday before Lent and dropped sweets to show their anger. Expect to be surrounded by local children, who are given the day off from school to participate in the sugary battle. Most poncho-clad participants arm themselves with pastry bags filled with the sticky sweet. The messy, fun-filled day culminates with an evening meal of xató, a traditional Catalonian dish resembling a tuna salad that’s topped with a nutty garlic sauce. Obviously when we are talking about food fights we should include the US. It’s not the dirtiest and the most sticky of the festivals but it’s definitely a lot of fun. 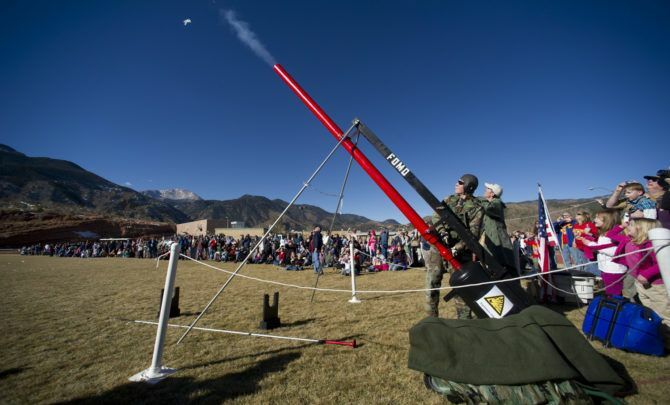 In Manitou Springs in the US, they will not let you eat these fruit cakes but they will use from catapults to … cannons and any other gadget they can think about to launch them. But that is not just all. After the fight there will be also a local bake off competition. Local bakers will compete for the title of Fruitcake King or Queen as determined by the community. Winners will be based off who makes the best organic, non-GMO, natural fruitcakes. Another celebration in Spain: Every year, on 29 June, La Batalla del Vino “rolls” to the village of Haro, La Rioja. 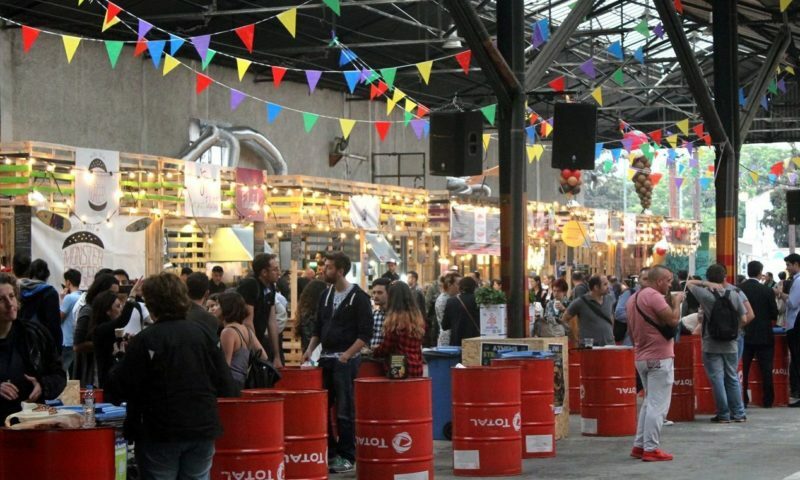 The day begins at 9:00 am, with a procession of people old and young,all carrying jugs, bottles, botas and other types of containers filled with red wine. Led by the town’s mayor, on horseback, the procession winds through the town to the Cliffs of Bilibio, where a mass is celebrated at the Hermitage of San Felices de Bilibio. 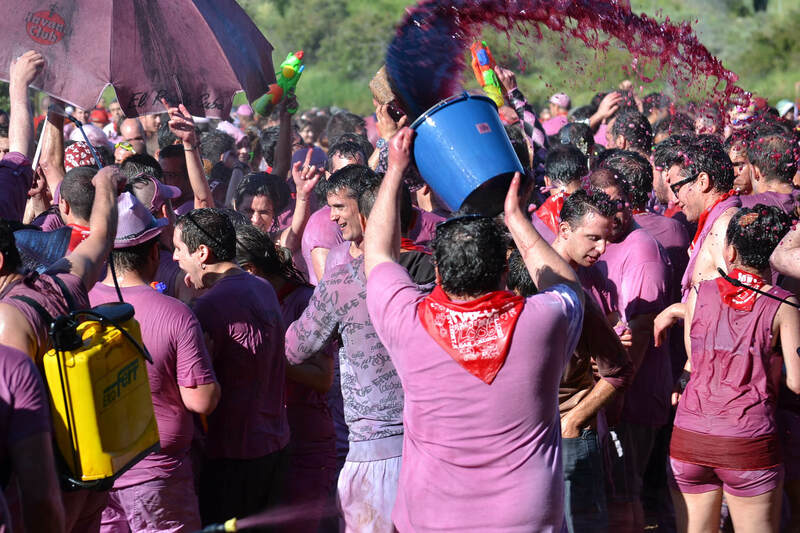 Participants must wear white clothes and roll in red wine until their clothes become red. This celebration goes back to the 13th century when two regions, Haro and Miranda de Ebro, fought for their borders. Haro warriors held dark red banners and for the next 400 years that their victory is celebrated, the celebration arrived from a glass of wine to…bathing with a wine. 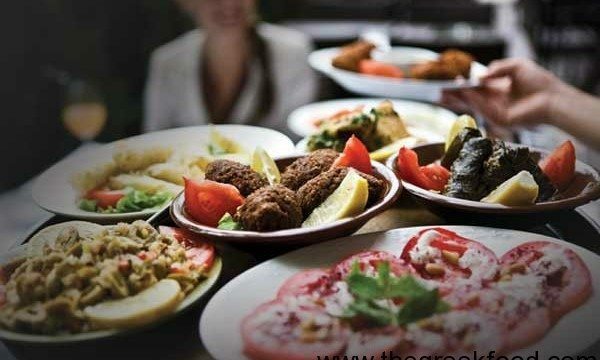 This article wouldn’t be in this blog if we didn’t included at least one fight in Greece. Last but not least our own “flour fights” in Galaxidi. The fight marks the first day of Greek Orthodox fasting and the end of the Carnival period and it is a real flour-free warfare. Residents and tourists bombard each other with white and colored flour bags that make them all look like ghosts. The custom is believed to have been born in 1801 when the inhabitants of Galaxidi defied the Ottomans who occupied Greece by celebrating the forbidden carnival and painting their faces with ash while diving in the streets.